But, the end of October is generally when I start making - or at least deciding - on the Christmas cards I'm going to create that year. (and never send out) Don't judge me. When I started illustrating and designing our Winter 2018 Collection, I wanted to make sure that the products would be a good investment and not just be reached for for one holiday. 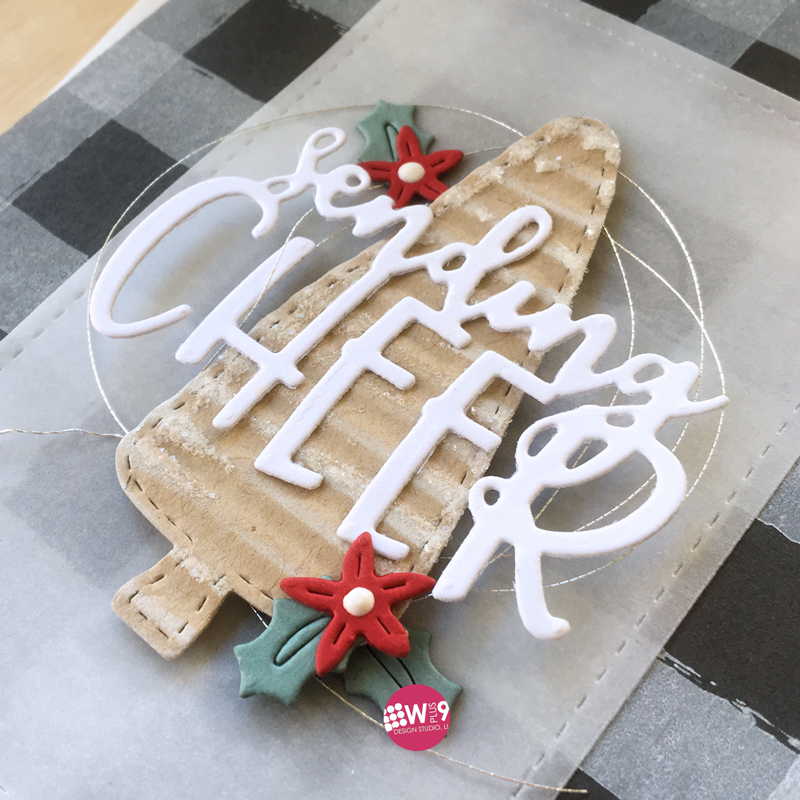 I made sure to include elements in each of the products that could be stretched beyond Christmas and be used for general winter cards, and in some cases, all year round. I have to say, although smaller, this has been the most versatile Winter Collection I've released. I was able to create so many cards in so many different styles. It was definitely hard to stop! We will be sharing all of the new goodies with you all over the next several weeks. 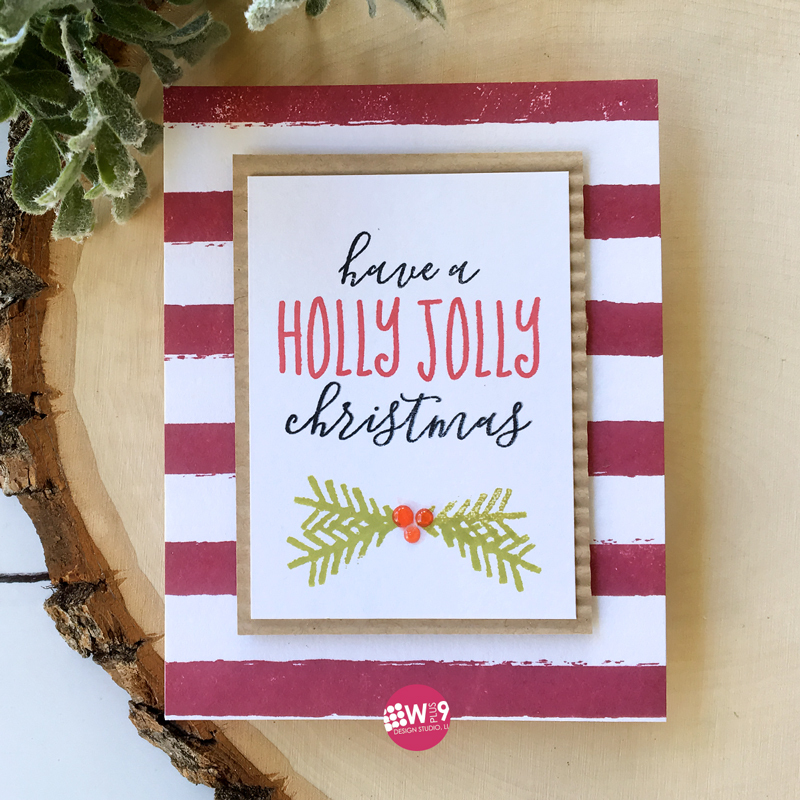 I'm going to kick it off with my personal favorite, in my personal Holiday aesthetic - the Holly Jolly Christmas stamp set and Holly Jolly Die. 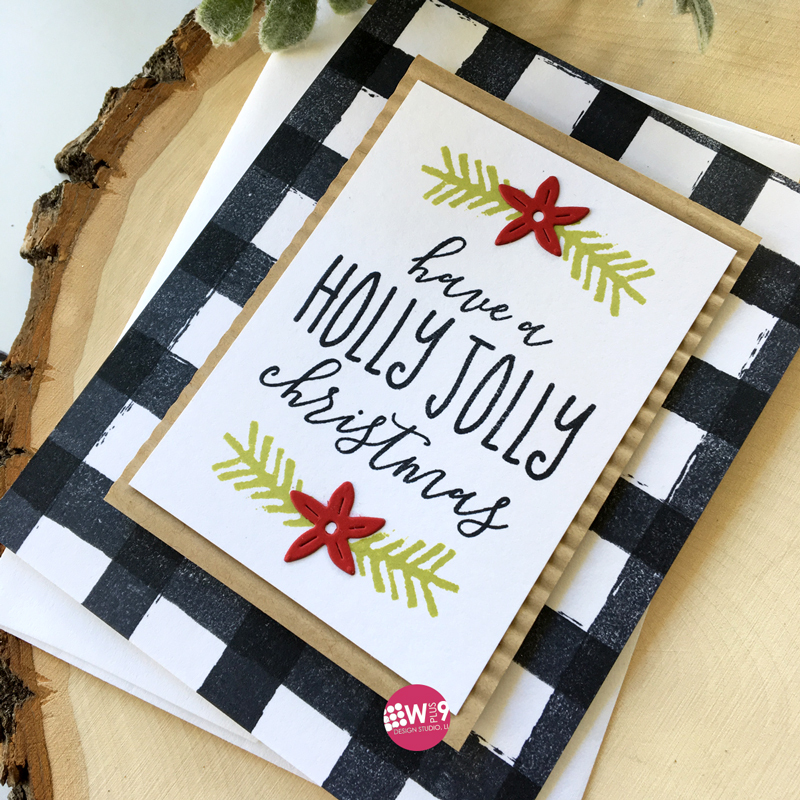 I started by stamping two backgrounds using that awesome distressed stripe stamp included in Holly Jolly Christmas. 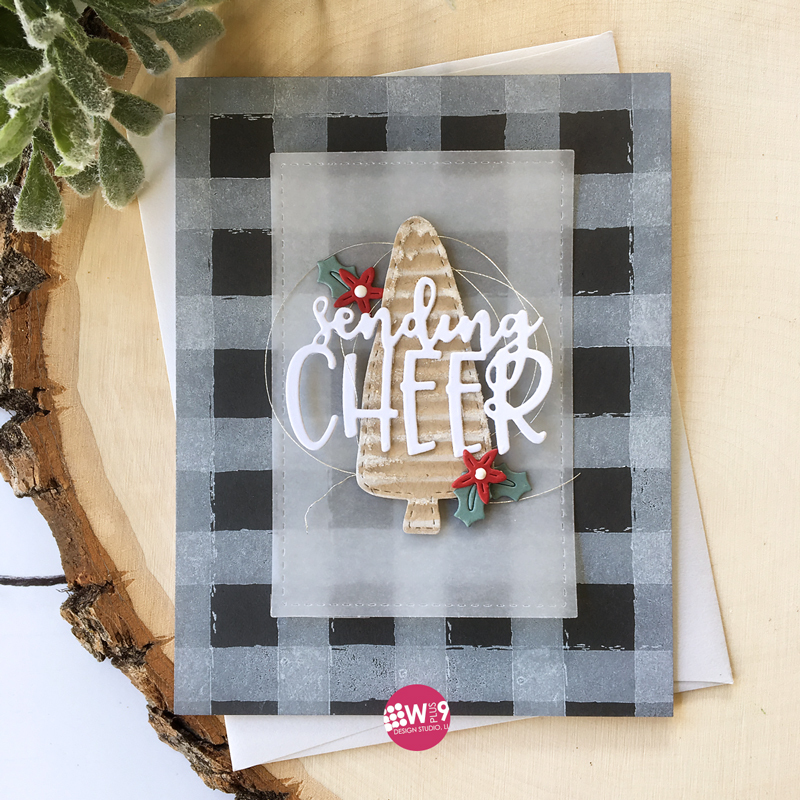 For the fist card, I stamped a buffalo plaid background in Memento Tuxedo Black ink. 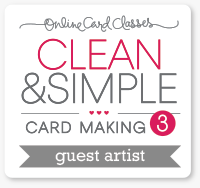 This alone is a perfect starting point for just about any card! 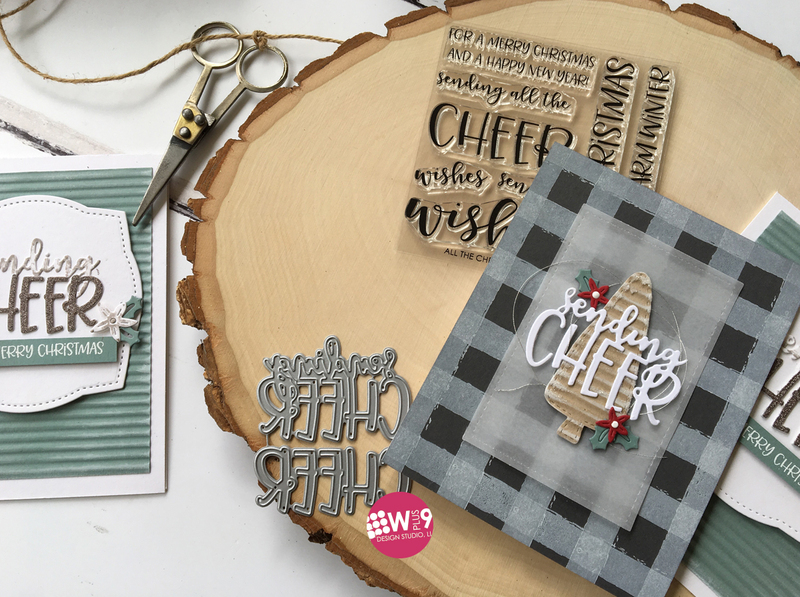 I wanted to create a homespun rustic look and the distressed images in the Holly Jolly Christmas stamp set are perfect for this. I cut down a 2 3/4 x 3 3/4" panel to stamp my sentiment on and then flanked the top and bottom with a little pine stamped in Last Leaf PURE COLOR dye ink. To accent the pine boughs, I die cut the flowers from the Holly Jolly Die from red cardstock and adhered them to the centers of both. To further the rustic feel, I added a bit of Kraft behind the focal panel that I crimped using the Fiskars Paper Crimper. I know! Talk about a blast from the past! But, don't count that thing out yet, I actually used it for several projects in this release. 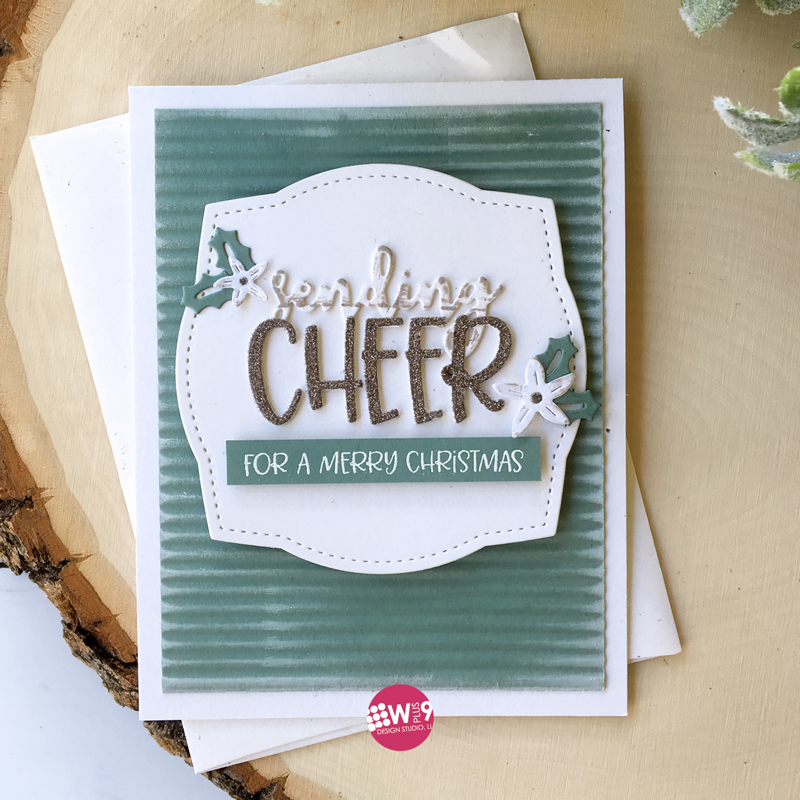 For the second card, I stamped a striped background in PURE COLOR dye ink in Cranberry Crush. 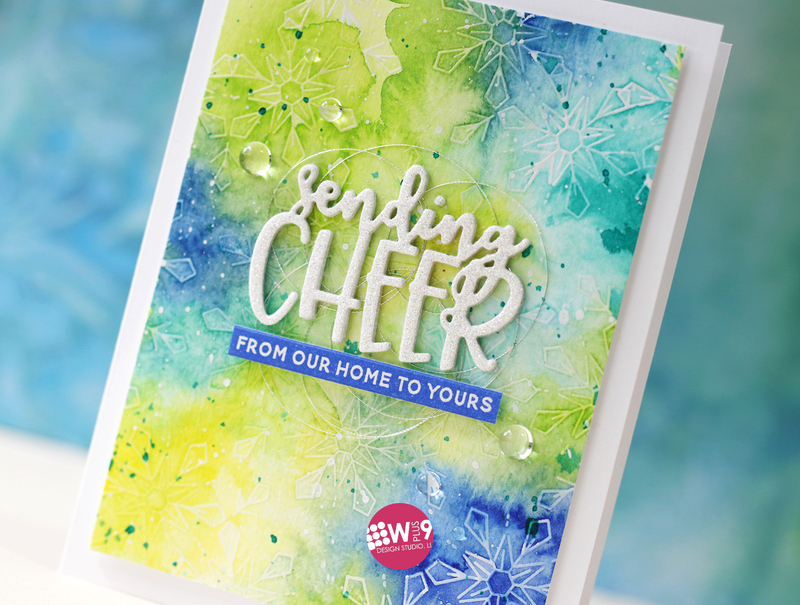 Another great starting point for any card, anytime of the year. I switched up the sentiment a little bit this time by doing some selective inking and stamping. 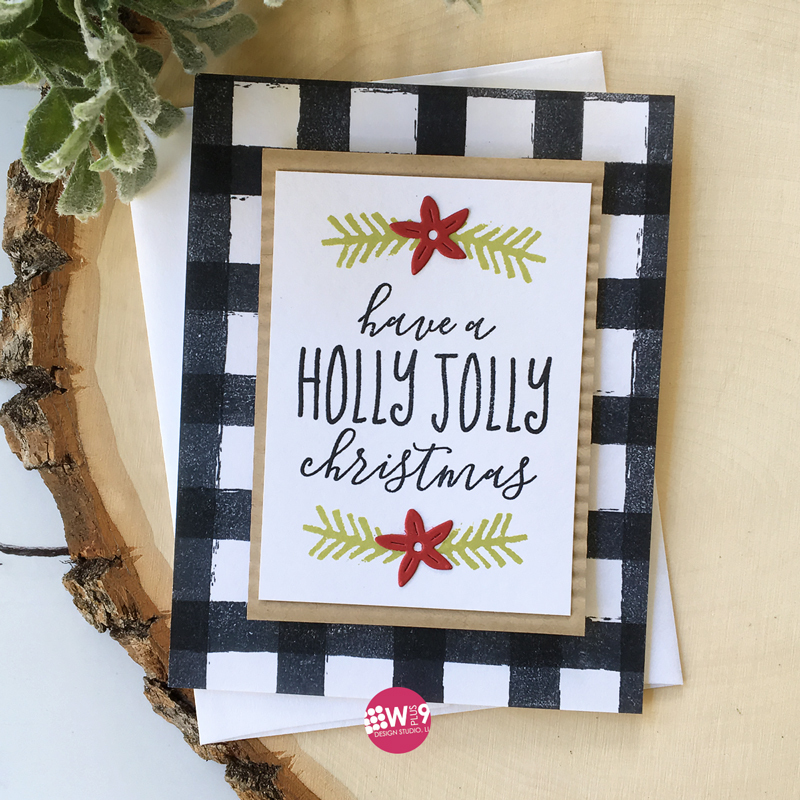 I chose to highlight "holly jolly" by stamping it in Gala Red PURE COLOR dye ink. And again, just for a little variation, I created a doubled up pine bough and finished it off with a couple of berries created with Nuvo Drops in Strawberry Coulis. I just love how this set makes pulling cards together quick and easy. But they look anything but ordinary. I hope you enjoyed this look at Holly Jolly Christmas. And don't worry, if colorful and fun is more your style, I've got you covered. 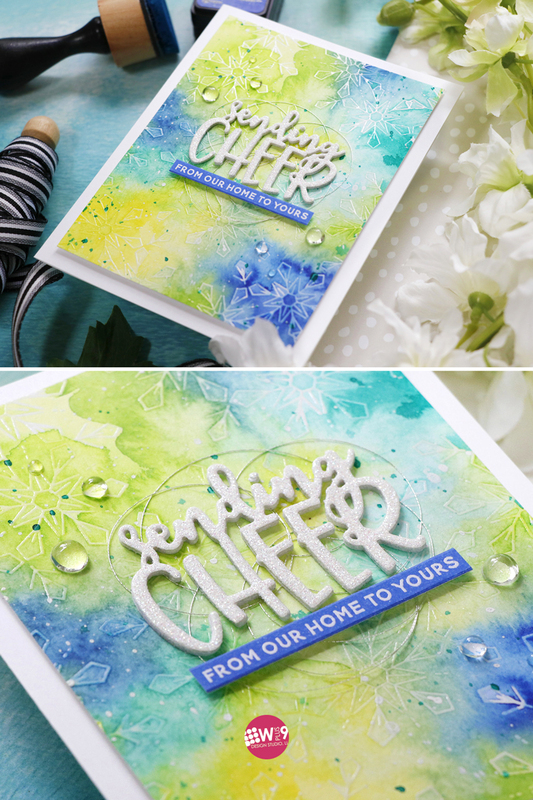 I'll be back with another set of cards featuring these same products with a totally different look and feel! Thanks for stopping by! I hope your weekend is off to a great start!